Those of you that follow the politics surrounding online poker in New Jersey are well aware of PokerStars’ difficulties in obtaining a license in the state. At first, the company faced issues because their former owner was considered “at-large” by the United States government. PokerStars was then sold to Amaya, Inc and all looked well for a potential return of PokerStars to the United States. However, in recent months things have apparently stalled regarding PokerStars’ license in New Jersey. According to a report released on Thursday by Business Insider, Governor Chris Christie may be directly responsible for the delay in PokerStars’ approval. Lesniak continued and implied that it was common knowledge that Christie is holding up proceedings. He stated, “It’s pretty well known. But I don’t think anyone’s going to confirm it.” Business Insider claims that they have spoken with several anonymous sources that Christie is indeed the person blocking the license. Lesniak later speculated that Lesniak wants to keep PokerStars out of New Jersey because it could sway the congressional delegates to support online gambling rather than ban it, which is what Adelson is hoping to achieve. Sheldon Adelson began his assault in late 2013 when he formed the Coalition to Stop Internet Gambling. During 2014, the Restoration of America’s Wire Act was introduced into Congress, a bill fully endorsed by Adelson. Attempts were made to pass it during the Lame Duck session of Congress but failed. The bill is currently being reconsidered by Congress. Christie has been under fire recently due to ties with the casino mogul. 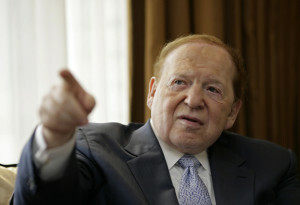 Last week, the New York Times revealed that Adelson lent Gov. Christie his private jet for a trip to the Middle East. It was also discovered that $3.5 million was donated by Adelson to the Republican Governor’s Association during the time that Christie was its chair. Christie’s office defended the use of the plane saying that Adelson is a personal friend and the Governor is allowed to accept gifts from friends. Some suggest that ethical issues arise from accepting said gifts. Regardless, his involvement with Adelson may result in an eventual criminal investigation. Assemblyman John Wisniewski is the co-chair of a special committee looking into Christie’s administration following the Bridgegate scandal. Wisniewski hinted that the Governor’s involvement with Adelson could result in a broadening of their investigation and could result in a criminal investigation. Of course, Lesniak doesn’t believe this statement released by the Governor’s office. When speaking about a potential criminal investigation on Christie’s involvement in PokerStars’ licensing, Lesniak believes that the investigation would only go as far as the New Jersey Division of Gaming Enforcement. If Christie is proven to have interfered with PokerStars’ license, this could prove fatal for any hopes that he has for becoming President. 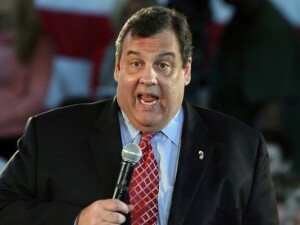 Christie is considered a likely candidate to run in 2016, although it appears unlikely he would get the nomination. While online poker isn’t exactly a polarizing issue, corruption is usually a campaign and eventually a career killer. Tagged Chris Christie, New Jersey Online Poker, PokerStars, Sheldon Adelson. Bookmark the permalink.